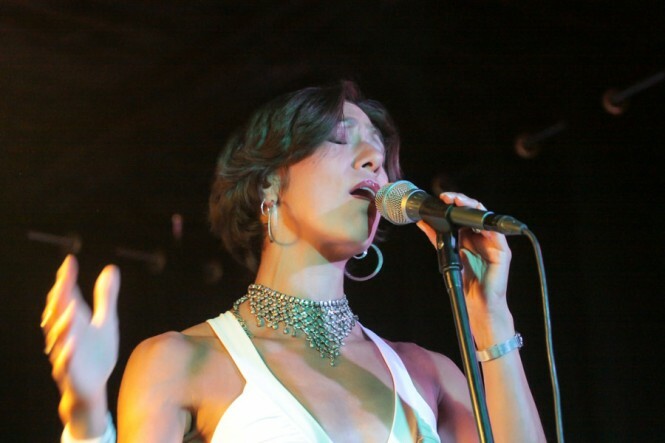 The sounds and styles of vocalist/composer Jocelyn Medina cross cultures, creeds and continents. Her diverse repertoire ranges from classic jazz and standards, Brazilian bossas, sambas and choros, Spanish boleros and Latin jazz, in addition to pop, soul, funk and R&B crossovers. 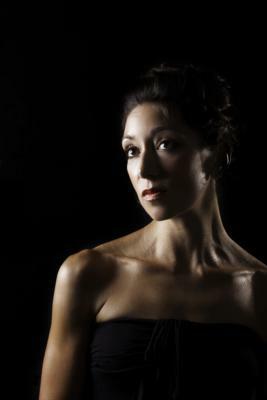 Jocelyn gathered much of her eclectic mix of artistic influences during the four years she spent living abroad in Madrid, Spain, where she recorded her first full-length CD of original compositions, "The Journey Begun." Further musical explorations have brought Jocelyn to study, perform and teach music in Brazil and West Africa, Germany and the UK, and most recently India, expanding her audience while being exposed to new creative pursuits. Her musical training includes opera work at Stanford University, a Bachelors degree in Professional Music from Berklee College of Music and a Masters in Vocal Jazz Performance from Manhattan School of Music. As a bandleader, she has toured with jazz ensembles at venues and festivals throughout the United States, Europe and South America, including Spain's JAZZPARLA festival, Alte Feuermache in Mannheim, Germany, the Mahindra Blues Festival in Mumbai, India, and the Goethe Institute in Salvador, Brazil. Her most recent U.S appearances have been at such NY venues as the Iridium Jazz Club, Cornelia Street Café, Zinc Bar, the Bar Next Door and 55 Bar with her own group, at Lincoln Center with the Manhattan School of Music Jazz Orchestra, and at Carnegie Hall with Calpulli's Music of Mexico. In 2011 she released her second album of original work, “We Are Water,” which topped national and international jazz radio charts and continues to receive wide-spread air play and flattering reviews. Since moving to New York City in 2005, she has established herself as a unique and powerful voice in the local jazz scene, where she continues to diversify her repertoire merging genres and defying classification. She performs with some of NYC's finest, world renown musicians, and is experienced as a wedding music coordinator and arranger for ceremonies and celebrations of all styles. Currently based in Brooklyn, Jocelyn is available for private parties, weddings, cocktail hours, gallery openings and other cultural events in a variety of configurations ranging from intimate voice/guitar or voice/piano duo to large ensemble with horns and full rhythm section. Please note Jocelyn Medina will also travel to Jamaica, Flushing, Far Rockaway, Arverne, Inwood, Long Island City, Cedarhurst, Lawrence, New York, Valley Stream, Woodmere, Atlantic Beach, Elmont, Floral Park, Hewlett, Glen Oaks, Lynbrook, Malverne, Bronx, East Rockaway, Franklin Square, Hoboken, Jersey City, New Hyde Park, Garden City, Great Neck, Island Park, Long Beach, Oceanside, Paramus.